Trailers are traditionally transported by road, but this is about to change. 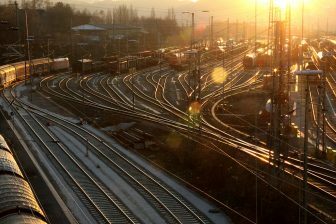 A terminal for the transport of non-cranable trailers by rail is in the pipeline in the Netherlands. The concept should bring about a revolution in the freight industry, the developers say. The new terminal is mainly focussed on the transport of fresh goods. It will be located in Bleiswijk, a city in the west of the country linked to the road network by the A12 highway. “The terminal is simple in itself, we are talking about a few tracks with pavement on both sides and a marshalling area with some tracks. Transshipment is carried out horizontally, rather than with cranes or reach stackers”, Tjalma explained. “The most costly part in the whole concept is the wagon, which allows fast loading and unloading. 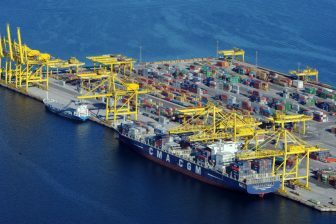 The investment and maintenance costs of the terminal are limited.” According the consultant, this is where the concept stands out; other systems require higher investments. Moreover, the terminal will run on green energy and pre-and post-transport can be carried out electrically, as the distance covered by truck will be short. “The first destination will be Berlin, where one of the initiators invests in a terminal that will be ready in three to four years”, said Tjalma. Private parties are convinced that a few years after the launch six or more daily trains can depart from Bleiswijk to various destinations in Europe. However, there are still some challenges on the road such as the funding of the project, Tjalma explained. It is expected that in addition to the province and municipality, the state will participate and that EU funds can be utilised. “Once that is achieved, we expect private investors tol step in.” In addition, the wagon has yet to be tested and approved, and then built in large numbers. “There are a few parties that want to do that, but first want certainty that the terminal will be delivered”, Tjalma added. 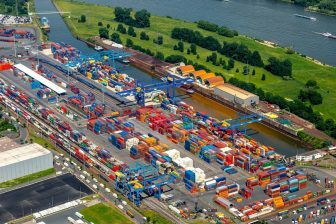 Jetze Tjalma will provide a workshop about the promising concept at the Freight and Terminal Forum, which takes place from 26-28 March 2019 in Utrecht, the Netherlands. Registration for this large-scale event is already open. A full list of available workshops can be found here.